The following values are the basis of our actions aswe take practical steps to create safe and sustainable habitats for tigers and people. Civilization is the rational and intentional cessation of the instinctual competitive behaviours and survival of the fittest outcomes as described by Darwin and the establishment of mutually beneficial collaboration. We use science not as means to compete but to collaborate with nature and one another in the creation of mutually beneficial and sustainable habitats. 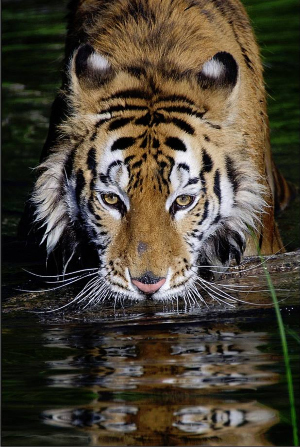 We are collaborating for tiger conservation rather than fighting against tiger destruction. Trees for Tigers collaborates with local populations, authorities, logging industry, and other stakeholders to create safe and sustainable habitats for people and tigers. Since forest habitats take many years to achieve self-generative maturity sustainability we are working for long-term solutions rather than short-term fixes. This will require transformation of mindsets and behaviours rather than simple changes in behaviour. Trees for Tigers creates long-term solutions rather than short-term fixes to establish and maintain safe and sustainable habitats for people and tigers. All sustainable change is an “inside job.” When change mechanisms rely on external forces or resources the changes will be sustainable as long as those external forces are in place. Without collaboration and empowerment at the local level well-intentioned “outsiders” will either tyrannically impose their perspective or benignly create long-term dependence on external aid. Trees for Tigers empowers local research to identify best environmental practices to ensure sustainable habitats for people and tigers. 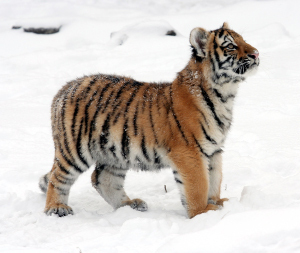 Education is essential to raise awareness of the plight of the Amur tiger. Education is also essential to help people discover the things they can do to be part of creating sustainable habitats for tigers. 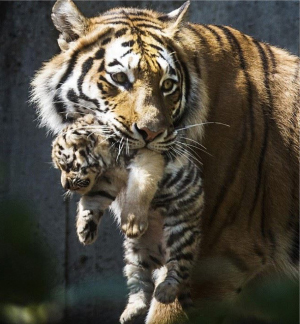 Trees for Tigers educates people to the plight of the Amur Tiger and ways in which they can participate in creating sustainable habitats for people and tigers. A sense of wonder and awe is essential to motivate a compassionate caring of our world. Wonder and awe stretches our awareness to encompass that which is beyond ourselves. We discover we are inseparable from our environment and one with all the creatures that inhabit the world. From this place of oneness with all things comes the inspiration for our work. We care for the environment not because we should but when filled with wonder and awe we cannot not care. This is the essence of sustainable motivation for the work of conservation. Trees for Tigers promotes those activities which evoke wonder and awe in those who behold the majesty and beauty of the Amur Tiger.